A Slidell mother was arrested after her 11-month-old son nearly drowned in a bathtub. The child survived, but hospital workers said the baby had signs of neglect. SLIDELL -- A mother has been arrested after her 11-month-old son was found face down and unresponsive in a bathtub. Police arrested Nancy Goodale on Wednesday, Oct. 10, after investigators determined she was under the influence and impaired when she left her 11-month-old son in a bathtub with the water running on the morning of Oct. 1. Gooddale told the officers who responded to the scene on Oct. 1 that she was bathing the baby around 2 a.m. when she went downstairs to retrieve clothing. She said when she returned, she found the child face down in the water, according to police. Gooddale's boyfriend, who was there at the time, called 911 and performed CPR on the baby, bringing him back to consciousness before EMS arrived. 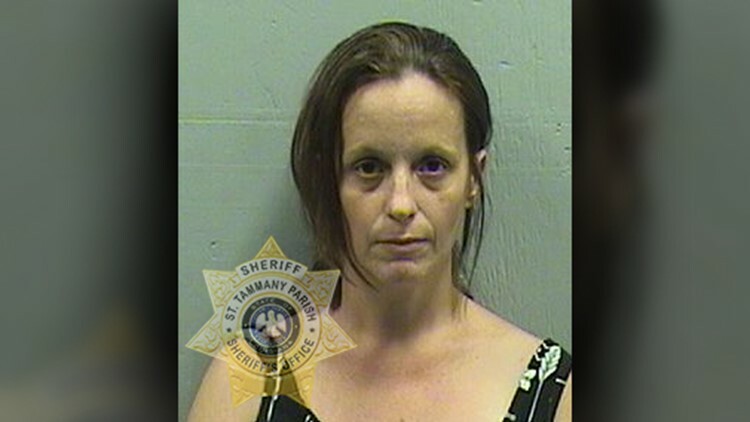 "Medical staff determined the child had also sustained non-accidental injuries consistent with child neglect," the release from the St. Tammany Parish Sheriff's Office said. "The Department of Children and Family Services (DCFS) was immediately notified and took custody of the child, upon his release from the hospital." Police say the child is now in good condition. Goodale was arrested on Oct. 10 and booked into the St. Tammany Parish Jail on one count of Second Degree Cruelty to a Juvenile, a felony.